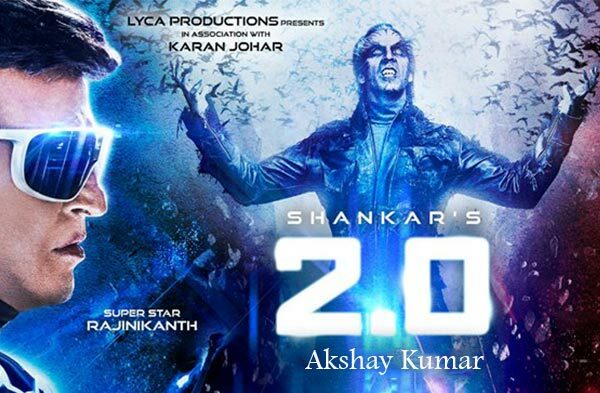 2.0 Movie 2018 is a Indian fiction film. This is the sequel of Movie Robot. The Starcast of this new Hindi film Rajinikanth, Akshay Kumar, Amy Jackson, Sudhanshu Pandey, Adil Hussain, Kalabhavan Shajohn and Riyaz Khan. Aishwarya Rai Bachchan is for cameo appearance. The Film will be going to released in 14 languages. The Story and Screenplay writer is S. Shankar. Producers are A.Subaskaran and Raju Mahalingam. A. R. Rahman has composed the Music. Abbas Tyrewala is the Lyricist. Armaan Malik, A. R. Ameen, Blaaze, Nakash Aziz, Kailash Kher, Shashaa Tirupati and Suzanne D’Mello are the Singers. The Music is originally belongs to Lyca Music.